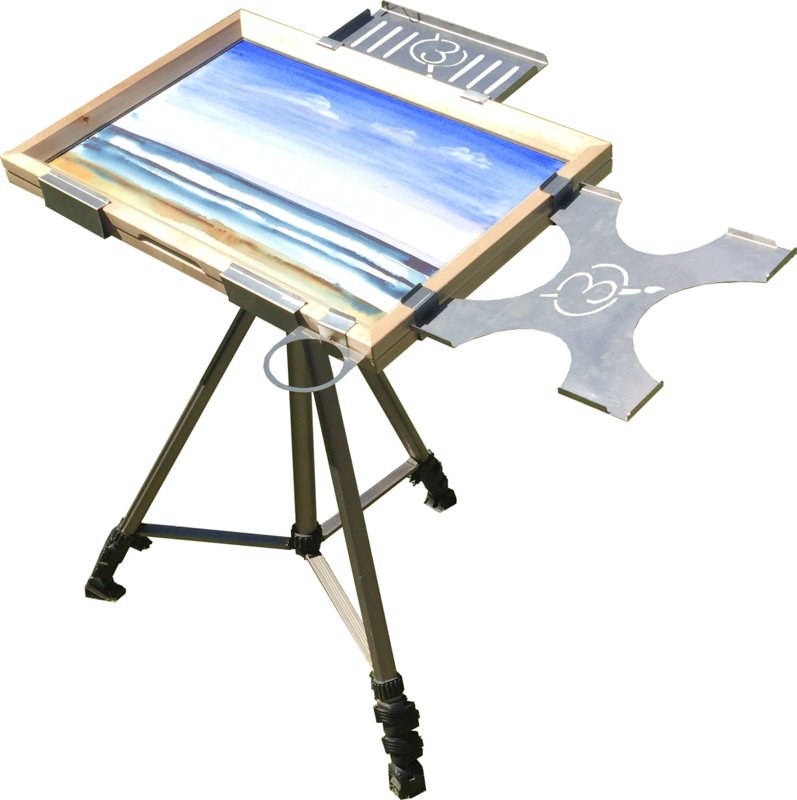 The patent-pending ManeFrame™ watercolor frame, holds a 15" X 22" sheet of paper. The rubber gasket masks off the border. The frame can slide onto the neck of a tipped (table like) horse, or when combined with the halter can be used the neck of a regular standing horse. 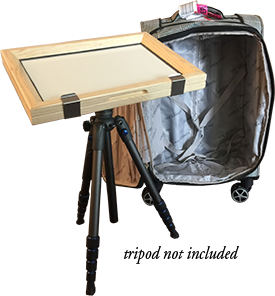 The patent-pending MiniFrame™ watercolor frame, holds a 11" X 15" sheet of paper. Perfect for plein air painting. This set up weighs under 5lbs. And fits in small carry on luggage. The Halter™ fits over the neck of the horse. 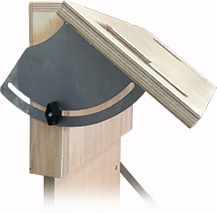 The angle of the mounting board is adustable. 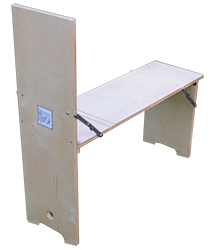 A ManeFrame™ watercolor frame fits into the slots, icreasing the functionality of the horse. The dynamic combination of the Halter™ , ManeFrame™ and the FAH-05C. The Signature 12 lb. 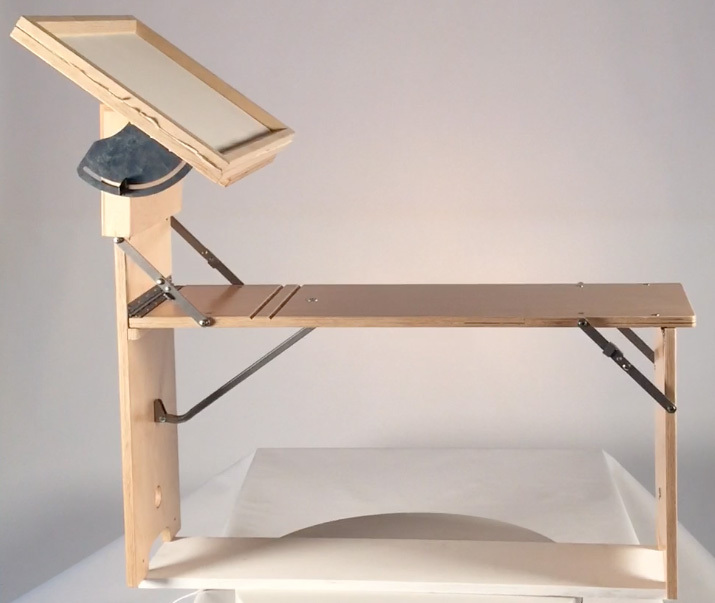 model, designed for professional artists. Heavy-duty 18 lb. model, meets the taxing demands artists and students in high use environments. 36" Long seat, Heavy-duty 22 lb. 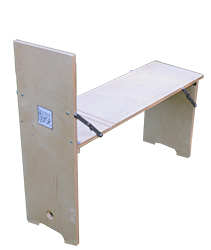 model, fits your studio needs. 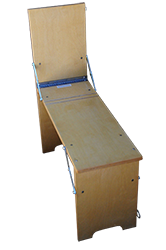 36" X 12" seat, Heavy-duty 21 lb. 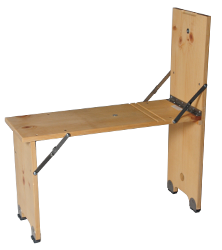 model with less rake, meets your department / studio needs. The Signature model NOW with base/flooring protection, designed for professional artists. 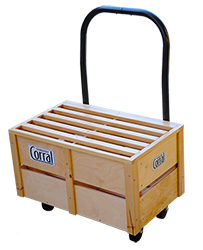 Heavy-duty model NOW with base/flooring protection, meets the taxing demands artists and students in high use environments. 36" Long seat, Heavy-duty 22 lb. 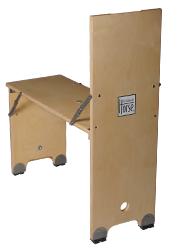 model, NOW with base/flooring protection, fits your studio/classroom needs. 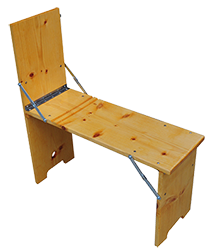 36" X 12" seat, Heavy-duty 21 lb. 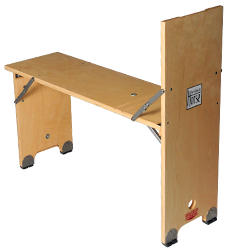 model with less rake, NOW with base/flooring protection, meets your department / studio needs. COR-10 (click for information) does not include horses. 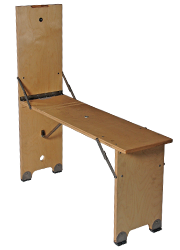 An easily manuverable cart designed specificallly for the Folding Art Horse®. The Corral houses 10 horses in a 2' X 3' space. 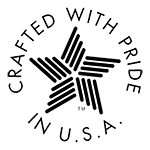 The heavy-duty construction and high quality materials ensure durability & stability. 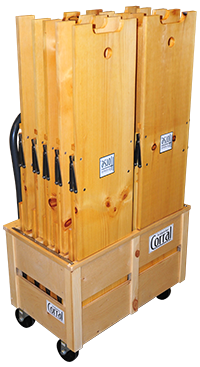 The patented Folding Art Horse® and Corral™ make up a beautiful system and perfect solution for classroom multi-purposing, on-site relocation and space saving storage.